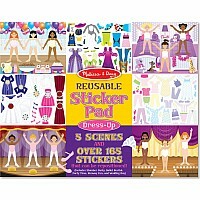 Five reusable backgrounds set the stage and over 200 enchanting stickers add the fun! 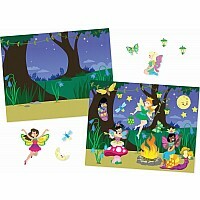 This reusable sticker-activity pad let kids create perfect pixie pictures, using fairies, flowers, glowing lanterns, friendly bugs, and more to decorate and fill each oversize scene. 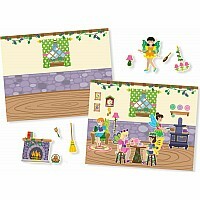 All five scenes (fairy village, pond, tree house, wildflower garden, and twilight scene) and coordinating sticker pages are bound into a handy oversize pad for portability and storage, and also tear our cleanly for easy sharing and display. 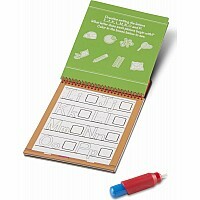 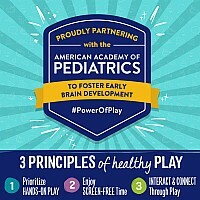 (The rigid cardboard back makes it a great laptop activity for the car or airplane, too!) 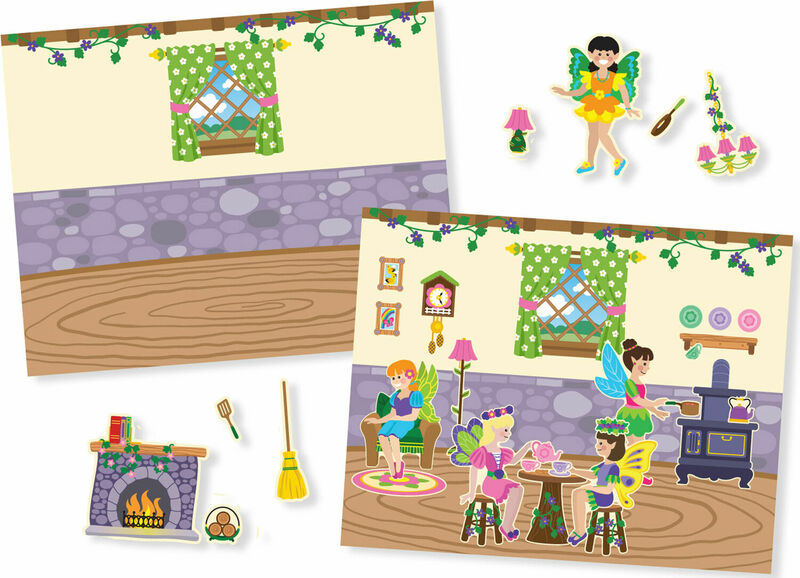 Pass them around to let up to five kids sticker their scenes at once, or take your time creating a whole fairy world, page by page. 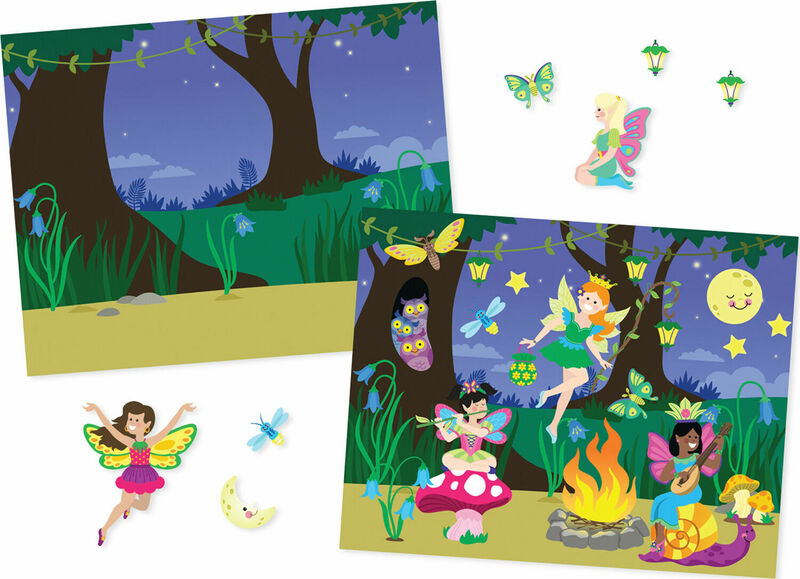 The reusable pieces mean it's simple to reposition the fairy stickers to tell a changing story, re-imagine a scene, and have lots of creative fun, time after time!